Home news smartphone Technology Samsung Galaxy S9: a record screen ratio? Samsung Galaxy S9: a record screen ratio? 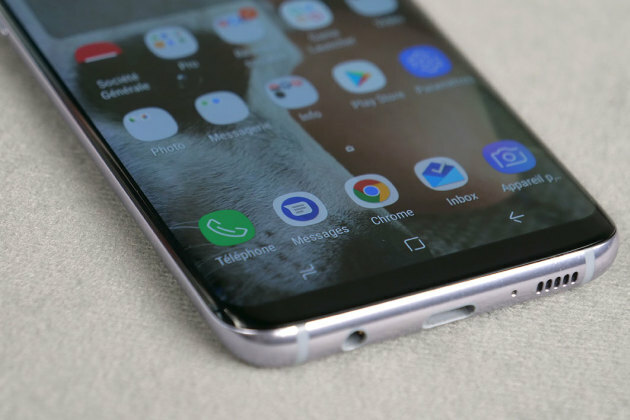 According to new rumors, the Samsung Galaxy S9 could enjoy a screen occupying an increasingly important place. With the Galaxy S8 , Samsung has set records for space optimization. On its smartphone released in 2017, the screen occupies 85% of the facade, against 83% for an iPhone X and 82% for a Huawei Mate 10 Pro . According to the SamMobile website , South Korean will go even further with its next high-end model. According to his sources, the screen ratio of Samsung Galaxy S9 will climb to nearly 90%. An evolution which implies that the black bands placed above and below the screen are still refined. A significant technical challenge as the first houses the sensors for brightness, facial recognition, iris and the front photo module. Dual photo module for the Galaxy S9 +? This new rumor goes against previous speculation that a Galaxy S9 design identical to that of the Galaxy S8, apart from a repositioning of the fingerprint sensor under the photo module. The only certainty, the data sheet will evolve to integrate a new generation of processors, always engraved in 10 nm. The Americans should be entitled to Snapdragon 845, against the successor of Exynos 8895 for Europeans. The Galaxy S9 + enjoy 6 GB of RAM - against 4 GB for the Galaxy S9 - and a second photo module dedicated to portrait mode, just like the Samsung Galaxy Note 8 . Unless surprise, the Samsung Galaxy S9 and Galaxy S9 + will be announced at a conference during the month of February or March. As it did last year at the Mobile World Congress in Barcelona, ​​the manufacturer could offer a teasing a few weeks earlier. In 2018, the appetizer could be done at the CES in Las Vegas.